CHARLESTON, WV — Today, U.S. 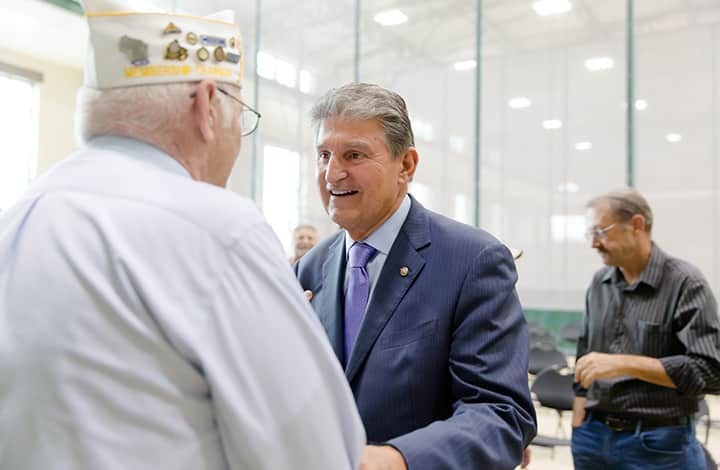 Senator Joe Manchin’s campaign launched “Veterans and Military Families for Manchin,” a grassroots coalition of West Virginians supporting Manchin representing every branch of the U.S. Armed Forces. West Virginia’s only living Medal of Honor recipient, Hershel “Woody” Williams, will chair the group for the campaign and work to rally Veterans and their families to vote for Manchin. The group is open to all West Virginia Veterans. Military families are also welcome to participate, including Gold Star Families, Blue Star Families, and the families of National Guard, Reserve, Veterans and Active Duty Service Members. Sign up here: JoeManchinWV.com/Vets. Senator Manchin is fighting to keep the promises we’ve made to America’s Veterans and military families. Joe will continue to make sure that our service members have job opportunities when they return home, world-class health care when they visit the VA, easy access to the benefits they’ve earned, and the respect they have earned and deserve. Joe worked with both parties to form the Congressional Veterans Jobs Caucus, and introduced the Honoring Investments in Recruiting and Employing (HIRE) Veterans Act, which eventually became law with bipartisan support. West Virginia Veterans and military families can sign up to join Manchin’s campaign here: www.JoeManchinWV.com/Vets.